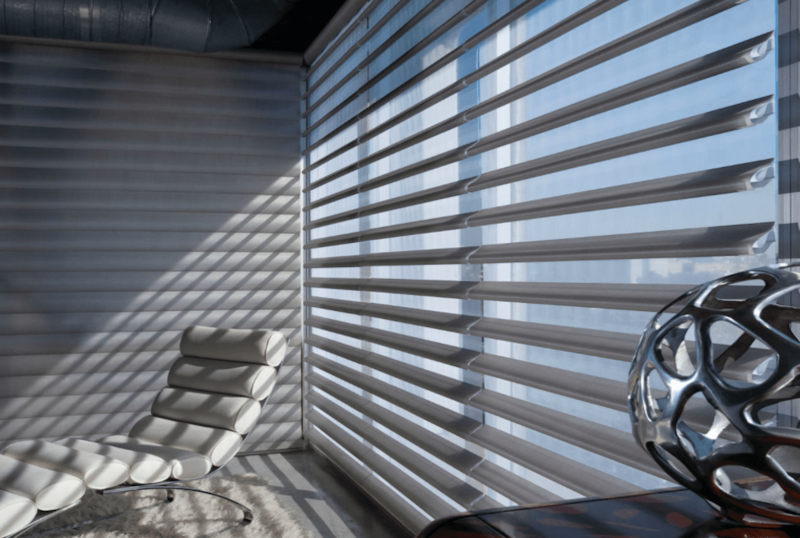 Silhouette® shadings are the leaders in light diffusion, with the Signature S-Vane™, magically float between two sheers and diffuse harsh sunlight. Simply tilt the vanes to achieve your desired level of light and privacy. This creates a soft glow in your home. 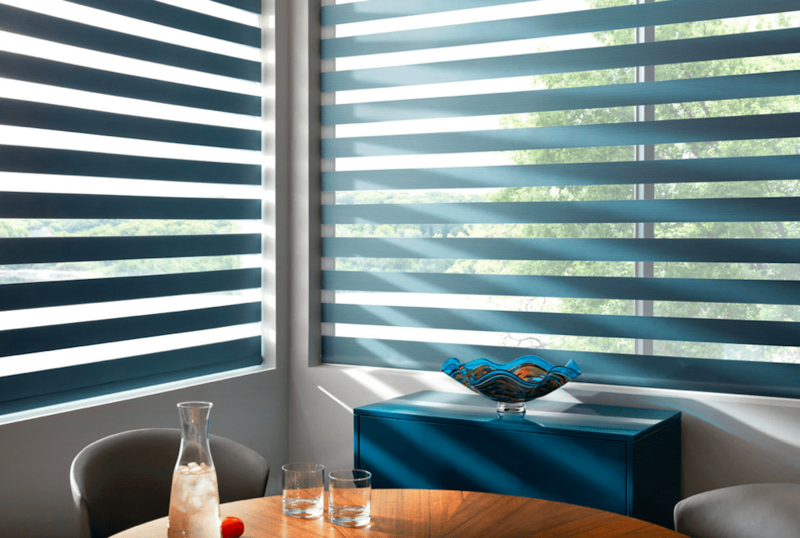 Banded Shades combine alternating sheer and solid bands in a single shade for a modern look. Completely raise or lower via your choice of innovative operating system. With a variety of design options, bold fabric colours, three different band heights and two different geometric styles. 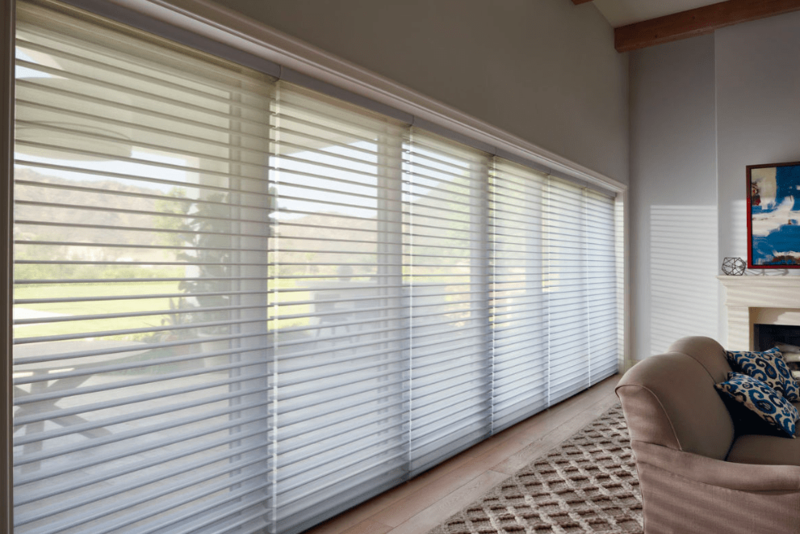 Pirouette® shadings feature soft fabric vanes attached to a sheer backing that appear to be floating, drawing natural light into your room. When closed, they look just like a contemporary shade. Pirouette window shadings are exclusive to Hunter Douglas. 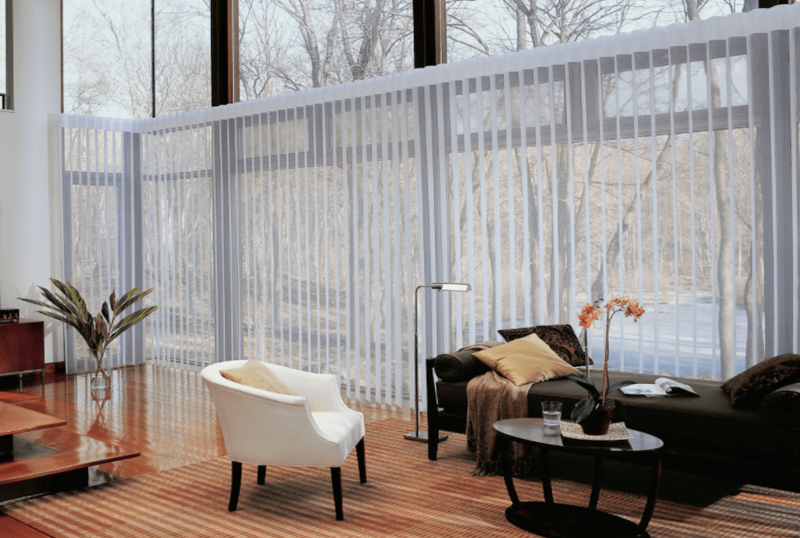 Luminette® Privacy Sheers have the look of beautiful sheer drapery panels, and the added bonus of vertical fabric vanes that rotate 180 degrees to provide unlimited light control and privacy options. For wide windows and sliding doors, our Luminette® Privacy Sheers come in an array of sheer and drapery-like fabrics.